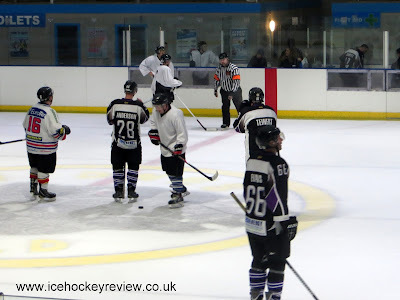 On a night when the Widnes Wild NIHL team got shut out 9-0 away at Blackburn and the friendly between Whitley Warriors and Kirkcaldy Kestrels got abandoned midway through the game, I would have to say that we were probably picked the best game to go to. Ok a 19-3 scoreline tells its own story but I can honestly say that the performances on the ice were a lot closer than the numbers suggest. The visiting Rhinos battled throughout – even once it was obvious that the game was beyond them -and only in the latter stages did it get a bit niggly and the penalties started to mount up. Referee Mr Hamilton was officiating the game on his own and did a very good job in keeping everything under control. He didn’t out up with any nonsense from the players and we had several misconduct penalties for arguing about decisions or hitting the boards in annoyance. In fact, I have never seen quite a referee’s hands go to his hips quite so often in a game and if more referees did this, a lot of the niggling that build up in games at all levels would probably disappear overnight. We even had the tense drama of a penalty shot – which the Rhinos’ player missed. These happen so infrequently that I couldn’t possible tell you when I last saw a penalty shot awarded during a match. I could tell you when the first one I ever saw was – so rare as they are – but that can wait for another occasion. I can’t go into specifics because I don’t have the gamesheet and they didn’t have a match announcer so I can’t be sure of who scored what but this was a very solid all round performance from the Riverside Raiders who are in their first season of competition. From my own point of view, this was actually the very first item that I had actually seen a “Manchester” team play ice hockey, believe it or not. I have seen Altrincham Aces and Trafford Metros numerous times over the years but - for one reason or other - never got round to seeing Manchester Storm, Phoenix or Minotaurs. Also, just off the top of my head, this is probably the highest scoring game that I have been at since watching Peterborough Pirates beat Grimsby Buffalos in the halcyon days of the British League in 1984. 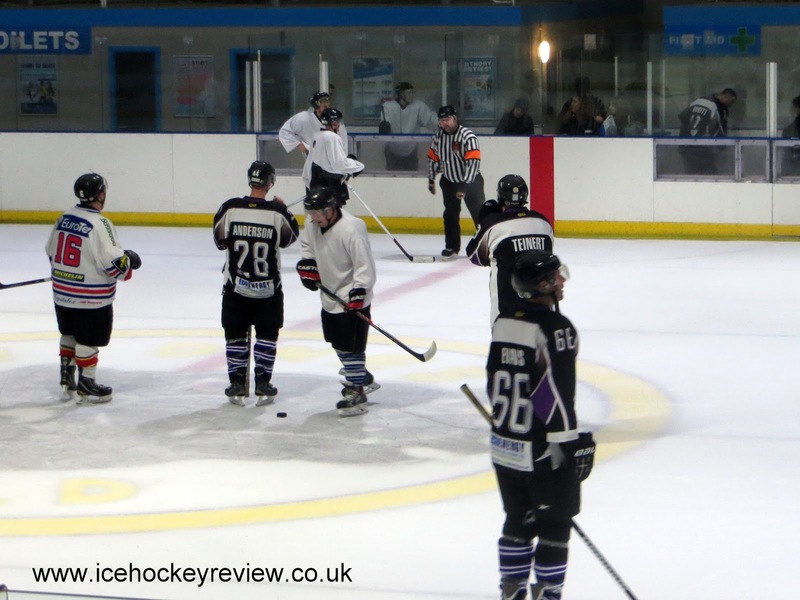 There is more recreational ice hockey at Silver Blades Widnes next Sunday when Widnes Wildcats take on group leaders Grimsby Ice Bears in their last group game in the Northern Rec Hockey Cup in a 7.30pm face off. The day before the Wildcats are in action at iceSheffield in the Summer Cup play offs. They play Whitley in the second semi-final at 11am and the final is at 6pm. Admission is free for what should be good day of hockey.